Mission: We believe art and offer artists an opportunity to work for an extended period of time in a social environment that is quite different from the urban milieu that is the usual context of production and distribution of the contemporary arts. This new experience provides artists with a major stimulus to experiment with new ideas, approaches and modes of production, encouraging artists to rethink and renegotiate their role in such unfamiliar social contexts. It also invites communities to be receptive to creative practices that don’t conform to traditional expectations. Our mission is to encourage the mobility of artists interested in exploring their ideas in a well appointed studio far from home; to develop a cultural exchange at local, national and international levels through the involvement and participation of foreign institutions, both public and private; to be a laboratory of experience where artist-teachers and young artists can work together. Founders: Duccio Trassinelli, Designer ( his objects are in the permanent collection of MoMA, NY; Centre Pompidou, Paris and Vitra Design Museum, Germany) and Demetria Verduci, Architect. 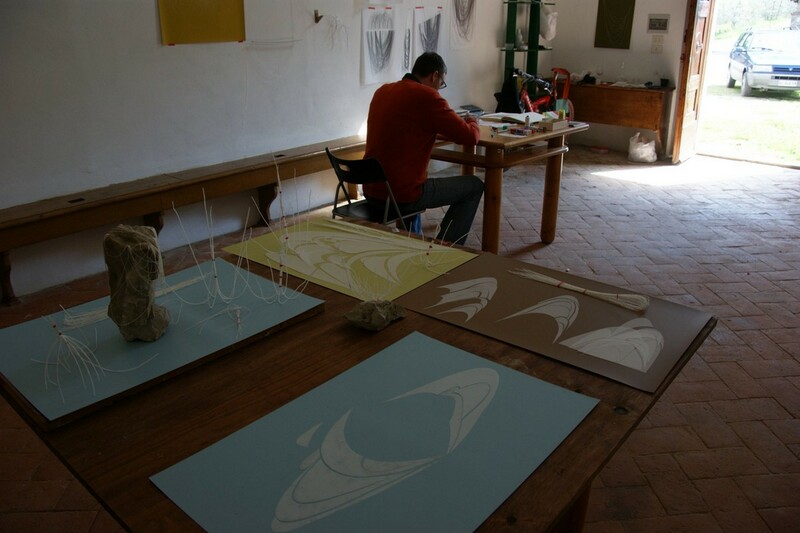 La Macina di San Cresci is a place for creation, presentation and documentation of contemporary art in all its forms. 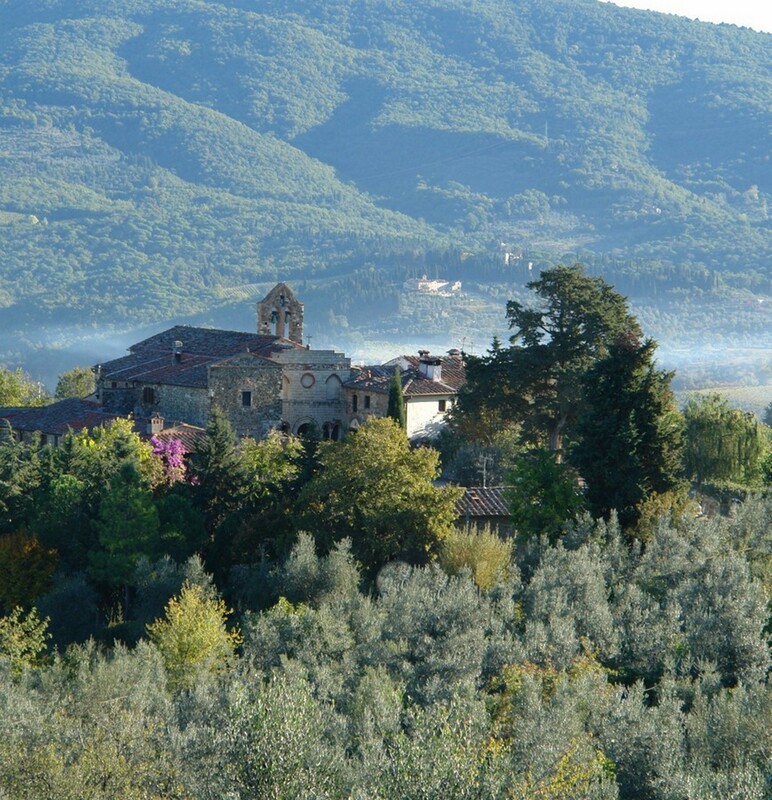 Based in a Tuscan hill town, Greve in Chianti is between two great cities of the Renaissance: Florence & Siena. Here the work of nature and the work of man has shaped a unique landscape. Vineyards and olive groves interspersed with farmhouses, turreted castles and fortresses and ancient hamlets: this is the typical Chianti landscape, possibly the best-known of all of Tuscany. 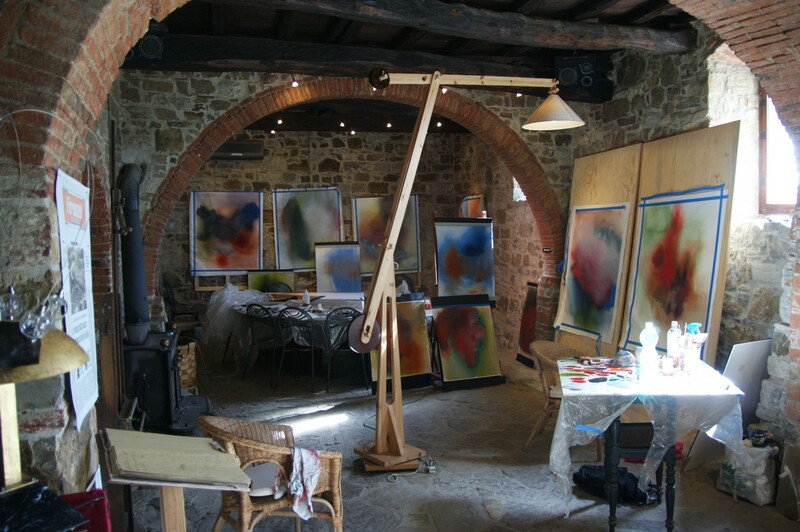 La Macina di San Cresci consists of a studio space, gallery and residence for artists and it is located in the historic complex of the Pieve di San Cresci , the oldest in the Chianti area; it began to be mentioned in 948. Accommodations: The house is located in a very silent and peaceful area, far about 2,5 km from the town of Greve in Chianti ( 15 minutes walking). Residents live in single rooms. Kitchen, living room and bathroom are shared. Linen and towel are provided. The House is well equipped with washing machine, dishwasher, oven, frigidaire and other electric appliances. Wireless internet access is available. The garden is accessible from the studio. It is possible to come with a companion, such as members of your family or friend who will share the room. In that case, their cost will € 200/week. If you would like to come with family ( spouse and children), we can reserve an entire “Artist’s house”. This will be a more comfortable situation for you. Ask for the quotation entire Artists’s house. All studios are open 24 hours a day. The entire centre is wireless equipped. 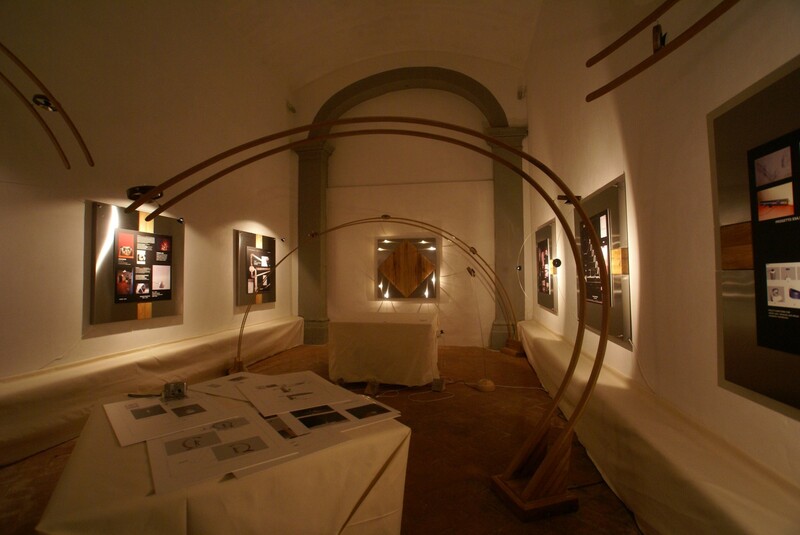 The adjacent con-sacred Church can be used for special works, like installation or music recorder. In the Church that is an old Organ restored available for musicians. We suggest to bring your laptop. One communal computer have been set up for resident artists to share in the studio. Facilities include meeting table, a black and white photography darkroom, video projector , amplification system, projection screen, basic handtools, easels, air compressor and electric stapler, basic tools for wood. Demographic/Medium: We welcome artists of all age and nationalities.Artists selected are at all stages in their careers. Literature, fiction, nonfiction, poetry, drama, translation, and librettos; Visual Art, painting, drawing, sculpture, photography, mixed media and installation art; Music Composition, instrumental forms, vocal forms, electronic music, and music for film; Choreography, artists working in choreography; Media Art/New Genres, film, video, multi media, performance/experimental theater, sound and radio; Dance ; Design and architecture. Benefits: We provide promotion through exhibition, publication and/or exposure. We publish the yearbook “The Artistic Time” representative of the artist-in-residence and events and we provide archive of the artists on our website. 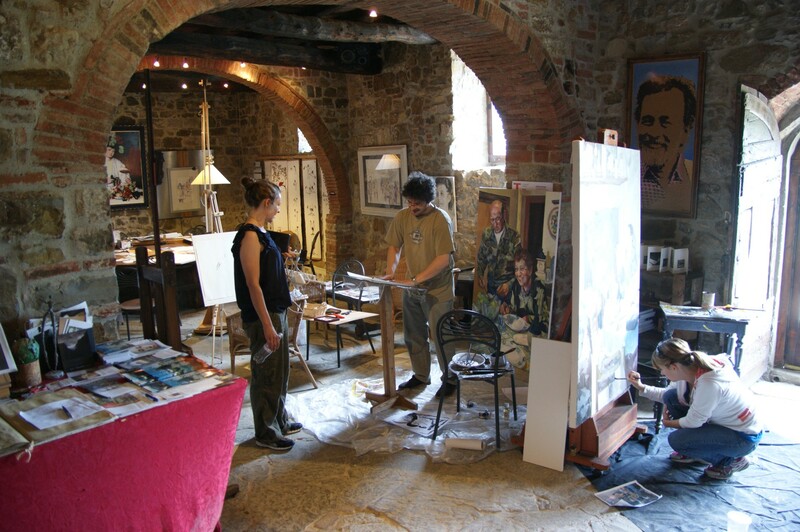 Presentation of artists’ work: At the end of the residency, we can host an Open Studios day, open to the general public. This is a great chance for the artists to share the work done during the residency with a broader audience who is made up of professionals, art lovers, neighbors, friends. 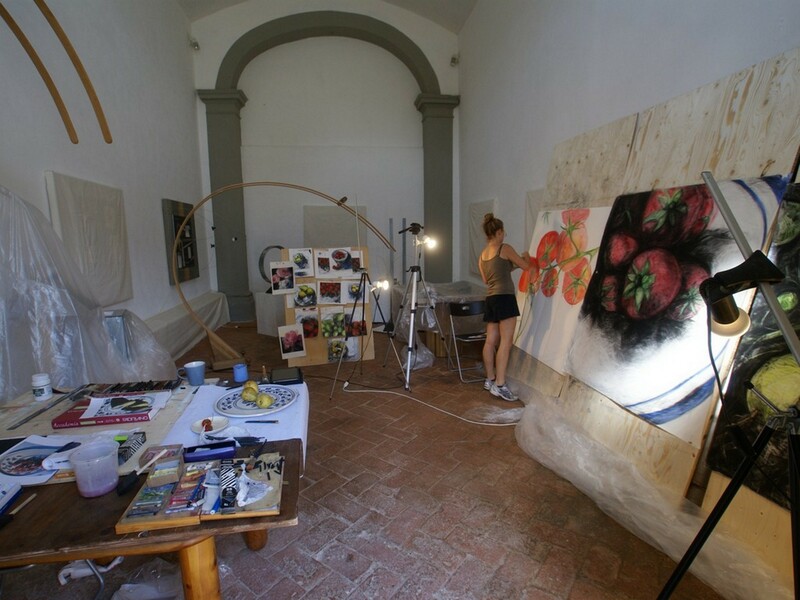 Many activities are possible in & out the residency: workshop in several technique, film screening, lectures, visit local artists and craftsmen, excursions. The Chianti region is one of the most beautiful and famous areas in Tuscany. Chianti is strongly tied to its wine and its wine culture. Chianti’s gentle hills are alluringly sketched by miles and miles of vineyards that each season color the landscape in different hues. Hills in shades of green, purple, red and yellow attract thousands of visitors every year. Between Florence and Siena you will find many farms, wineries and wine cellars that proudly offer their products: big, small, old or new wineries in Chianti. Deadline: No deadline; Residency applications are reviewed on a rolling basis and can be submitted at any time. Posted in ItalyTagged air compressor, amplification system, ancient hamlets, Architecture, Art, artist in residence, Artist Residency, artists, black and white photography darkroom, castles, Chianti, choreography, church, community, companion, Contemporary Art, cultural excahnge, Dance, darkroom, Demetria Verduci, design, drama, Drawing, Duccio Trassinelli, easels, electric stapler, electronic music, Exhibition, experimental, experimental theater, exposure, family, farmhouses, fiction, Film, film screenings, filmmaking, Florence, fortresses, friend, Gallery, garden, Greve in Chianti, handtools, installation art, instrumental forms, International, Italy, lectures, librettos, Literature, local, media art, mixed media, mobility, multi-media, Music, music composition, music for film, national, Nature, new genres, nonfiction, old organ, olive groves, ongoing deadline, open studios, Painting, partner, Performance, photo darkroom, Photography, Pieve di San Cresci, poetry, projection screen, publication, radio, Rate My Artist Residency, Renaissance, residence, rethink, rural, Sculpture, Siena, social, Sound, Studio, sutdio space, translation, Tuscan, Video, video interview, video projector, vineyards, Visual Arts, vocal forms, woodworking tools, workshopsBookmark the permalink.